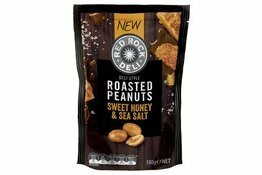 Red Rock Deli ovenroasted peanuts seasoned with real ingredients. The intensity of salt cuts through the delicate sweetness of honey for an unexpected sweet savoury twist. 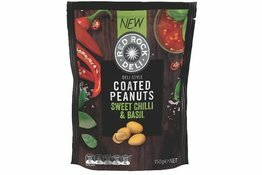 Take your tastebuds to flavour town with Red Rock Deli Coated Nuts. With a combination of delicious chilli, caramelised onion and basil, these gourmet bites are bound to be a hit at your next party.